GlobalFoundries has completed a $55 million upgrade to the Essex Junction plant it took over from IBM, company officials said Wednesday. The project, which the company agreed to undertake even before its ownership deal was finalized in July, increased the plant's mobile-device chipmaking capacity by 30 percent, Dale Miller, director of fabrication operations, told reporters Wednesday. The upgrade also meant 50 temporary workers got permanent positions. The good news comes a month after unsettling reports that GlobalFoundries was cutting personnel in response to global market changes. Janette Bombardier, senior location executive for the Essex plant, painted a brighter picture of the employee downsizing. She said about 100 employees in Essex Junction took advantage of a buyout package that helped the company reduce costs. "It was a great opportunity for them," she said. "It was win-win." She didn't mention, but a company official confirmed later, that the company also laid off a "limited number" of workers. The company declined to provide specific numbers for the layoffs or voluntary buyouts. 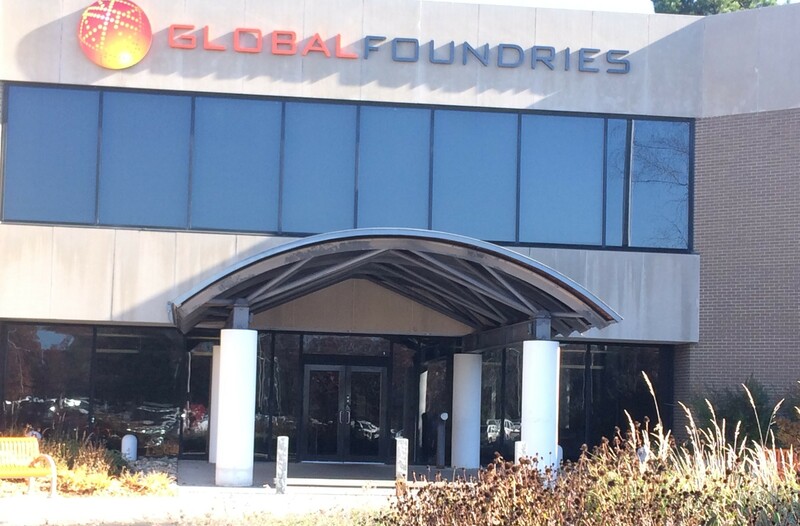 A company official said that GlobalFoundries employs about 3,000 people at the plant. Gov. Peter Shumlin said the days of mushrooming growth in manufacturing are gone. To compete in the global economy, companies have to be lean, he said. "That is just the way the world works today," said Shumlin, who came to the plant for a ribbon-cutting ceremony. After years of worrying about the future of the plant, Shumlin welcomed GlobalFoundries' decision to invest big bucks. "We now have a company that wants to be No. 1 in chipmaking who is investing," Shumlin said. "This is just a huge win for the Green Mountain state." GlobalFoundries' investment paid for 30 new pieces of equipment, nine equipment upgrades, plus necessary renovations and infrastructure upgrades. The project took nine months. The wafers that the plant produces are plate-sized silicon discs implanted with electronic circuits. The plant now produces more wafers dotted with as many as 20,000 chips. The plant ships its wafers to customers who "dice" the disks for use in cellphones and other mobile devices. Bombardier said the $55 million project positioned the plant to go toe-to-toe with competitors in Asia. She added it is critical for employees to keep innovating, saying: "The viability of our plant is based on continuing to come up with great technology."